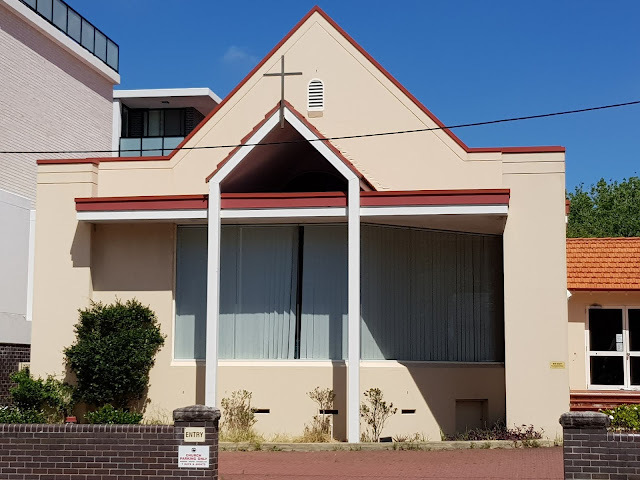 This contemporary church hall has been built beside the Ramsgate Community Church, which is part of the Uniting Church in Australia, located along Rocky Point Road in the southern suburb of Ramsgate. Looks very modern, hope it gets used enough. ...a different style from what I would see here, enjoy your week. I like the roofline and the trim but not the window. Are those vinyl vertical blinds? Linda, I'm not sure if they're vinyl or fabric. Just the simplest of designs make the best subjects at times.